Plays A Blu Ray (Region B &C optional) from any part of the World. Has built-in Real Time Video Converter! Play any DVD or Blu-Ray from any country on any TV! 100-240 Volt 50/60 Hz to Use World Wide. Other companies that sell you a region free blu ray player will tell you not to upgrade the firmware in the player. This is because they use cheaper modifications which disable the region free functionality of the player after the firmware update. Our players are fully firmware upgradeable players. So don't be fooled into buying a player from a company that tells you not to firmware update the player!! Our model is our own modified special version which has region free DVD playback and PAL NTSC Converter! With our Sony BDP-S3500 model you can play all your DVDs from any country plus your Blu Rays from Region A, B, and C on any TV in the World!! The Sony Network Blu-ray Disc player BDP-S3500 brings you breathtaking high-definition images and the highest quality audio in the world! You’ll marvel at the clarity and full-color spectrum of every scene, while Dolby Digital, Dolby TrueHD, Dolby Digital Plus, LPCM, DTS-HD Master Audio and DTS decoding pulls you into the action. Sony technology also offers backward compatibility with your legacy CDs and DVDs. NetCast Entertainment Access brings the best internet services directly to your TV - no computer required. Right on your couch, you can enjoy everything listed below: instantly access movies and TV shows, news and weather and the world’s largest library of HD movies in 1080p. One HDMI port connects to your HDTV Home Theater System or other digital device. Combination of excellent image quality, super fast loading times and its currently unbeatable feature set make it the one you’ve waited for! 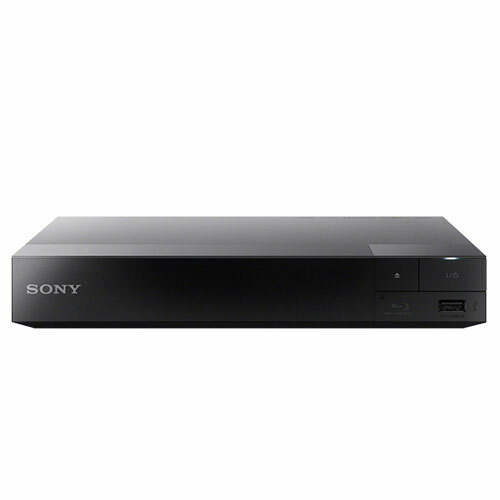 Play PlayStation 3 games without a console and watch Blu-ray and HD content through the Sony BDP-S1700 Wired Streaming Blu-Ray Player. It features PlayStation Now, which will allow you to stream and play PlayStation 3 games with your DUALSHOCK 4 controller(DUALSHOCK 4 controller - sold separately), but without a console. The BDP-S1700 also supports full HD 1080p Blu-ray disc playback from its HDMI output, and can upscale standard DVDs to 1080p quality. It provides access to over 300 streaming services which can allow you to play movies, TV shows, music, and more with a valid subscription and broadband connection. The BDP-S1700 is also compatible with many file and audio formats. It supports high-resolution audio formats such as Dolby TrueHD and DTS-HD Master Audio for a dynamic surround sound experience. The USB port allows you to connect peripherals such as thumb drives for easy playback of a variety of file types.